Early Oregon Trail emigrants had little choice but to follow the perilous route of the Columbia River. 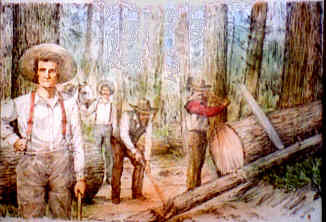 In 1845, despite warnings from missionaries at The Dalles, Samuel K. Barlow decided to forge a wagon road across the formidable Cascades. Barlow led seven wagons southwest through Tygh Valley toward Mt. Hood–fellow traveler Joel Palmer soon followed withn 23 wagons. 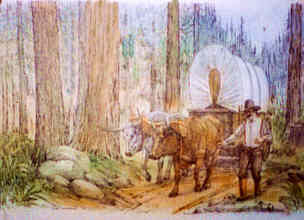 With winter fast approaching the trailblazers were forced to cache their wagons and proceed on foot with pack animals to Oregon City. Barlow returned the following spring with a charter from the territorial legislature and a work crew of 40 men to open a toll road. The Barlow road was rough–“Desparate bad beyond Discription,” for Isom Cranfill in 1847. Many emigrants trekking the rain-soaked slopes with P. V. Crawford in 1851 found, “the most terrible mud we had yet met with during the whole two thousand miles of travel.” The road was an instant success, however, and after 1846 many emigrants chose it over the Columbia River. Barlow charged $5 per wagon and 10 cents per head of stock, and by 1847 with profits in hand he returned the charter to the territorial legislature. 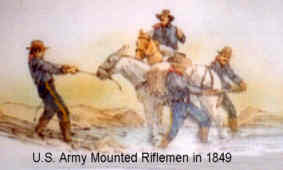 In 1849 the U. S. Army Mounted Riflemen traveled west on the Oregon Trail to establish posts along the route and in the Oregon Territory. During their journey on the Barlow Road from Tygh Valley nearly two-thirds of the livestock perished while pulling 45 heavily laden wagons. the regiment’s officers ordered the men to cache the wagons’ contents ner this site until they could be retrieved the following spring. The presence of wrecked army wagons and supplies gave rise to the name Government Camp. 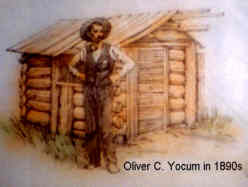 Permanent settlement of Government Camp began during the 1890s and Oliver C. Yocum was among the first homesteaders. Yocum platted part of his claim in blocks–spelling his name with the first letter of the north/south streets: Yule, Olive, Church, Union, and Montgomery. Although Yocum’s street names survived, his name for the community–Pompeii–did not. Yocum built the town’s first hotel in 1899, and others soon followed. 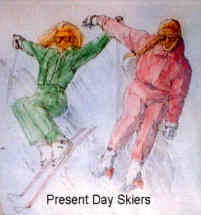 During the early 1900s the community was a summer resort and base camp for mountain climbers. Highway 26 opened in 1926 and by the 1930s, the town quickly became a winter resort. Much has changed since Oregon Trail emigrants traveled the Barlow Road through Government Camp toward new lives–today, residents and businesses play host to thousands of visitors year-round. Oregon Trail emigrants reached Government Camp jaded, weak, and hungry after months of arduous travel. Livestock and draft animals were equally as exhausted: “the whole Caskade mountain was one general horse and ox graveyard.” Jared Fox lamented in 1852. 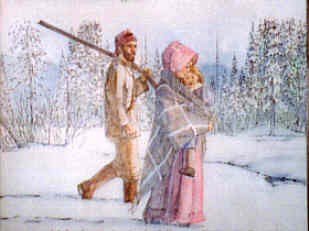 Emigrants suffered from the bitter cold on these forested slopes and often huddled beneath trees in the fog, rain and snow at winter’s cruel approach. Today if it starts snowing, then you can remain ensconced in the warmth of your home, with a cup of hot cocoa, and enjoy your favourite program on TV or even work from home using internet. There are many trading programs that are helping people to trade when they are not physically monitoring the trading account. This is possible due to the help of trading robots and you can read full review here https://cybermentors.org.uk/bitcoin-loophole-review-another-loophole-scam/if you are interested. 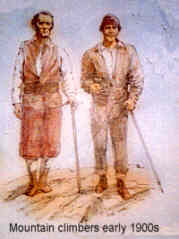 “…we succeeeeded after a long time, in getting about half-way over the mountains. Then we discovered, to our horror, that it was utterly impossible for us to proceed farther without help. Our cattle could not draw the wagon another yard. None of our companions could assist us, for they were in the same situation as ourselves. We were in despair. Winter was appproching.. In fact, it was apparently already here. Our provisions were almost exhausted. We knew not which way to turn. We tried to walk over the mountains, leaving our cattle to their fate, but we found that impossible. One day I walked six miles, carrying my little girl, and at every step I sank deep in crusted snow.” Esther M. Lockhart; Emigrant of 1851 (Recollection) .